Thanks to forum member Justine for finding this article! 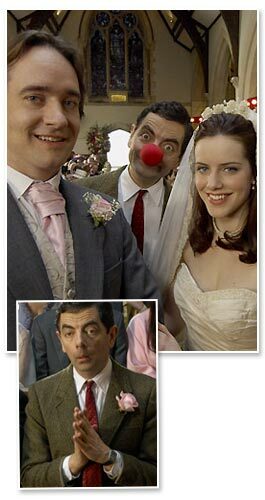 ROWAN Atkinson ruins a wedding AGAIN - as ex-EastEnder Michelle Ryan “weds” TV hunk Matthew McFadyen. Rowan brings back his character Mr Bean with a red nose for a Comic Relief special on March 16. Just like his clergyman in Four Weddings and a Funeral, he causes chaos.